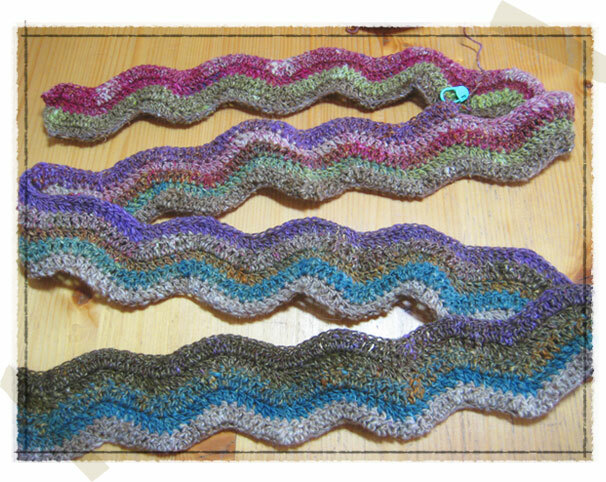 Not much longer after finishing my Noro striped scarf, I became obsessed with crochet. So why not combine my two obsessions??? 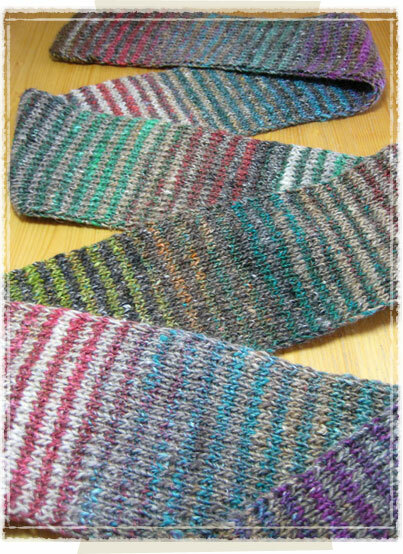 One can never have too many Noro striped scarves! I’m just using a traditional ripple pattern for this Noro crochet scarf which I’m doing the long way to showcase the Noro stripes. It started slowly with the first row taking forever with all those chain stitches to crochet into but once that was done, it’s all been going very quickly since. It really helped that I put in removable stitch markers for every ripple repeat while doing the initial chain. Otherwise there is no way that I would have managed it. I know I would have missed a chain somewhere. And I can’t believe how much faster I can crochet compared to my knitting. It makes me all the more eager to finally get a handle on knittting continental instead of English. It’s so much fun when you get things done!